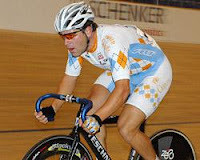 1976 and '84 US Olympic Team Manager and 19-time World and Pan American Championship coach Mike Fraysse has been involved with the sport of cycling all his life. 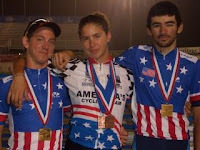 A fourth-generation cyclist whose grandfather founded what is today the United States Cycling Federation, Fraysse was a world-class racer with a National Championship title to his palmares before moving into the coaching role. In 1979 he brought Polish coach Eddie "B" Borysewicz over from the Eastern Bloc, and together the two went about revolutionizing the sport of cycling in America. Fraysse has had a hand in the development of such riders as Greg Lemond, Ron Kiefel, A lexi Grewal, Andy Hampsten, Davis Phinney, Betsy Davis, Connie Carpenter, Rebecca Twigg, Beth Heiden, Eric Heiden, Lance Armstrong, and Steve Woznik, to name just a few. To date, Fraysse has personally produced 42 National Champions, 5 Pan Am Games Gold Medalists, 1 World Cup Medalist, 15 World Championships Medalists, 1 individual Tour de France Winner, and 2 Tour de France Team Classification Winners. Fraysse has also contributed heavily to the development of the bicycle industry. As In 1979 he built the very first aerodynamic frame with tear-drop tubing for Greg Lemond to use in his silver medal ride at the Junior Wor ld Championships. Other notable inventions include the concor saddle and the female-specific saddle with anatomical cutout, to name just a few. For his contributions to the sport, in 1998 Fraysse became one of the only Americans ever to recieve the prestigious Merit Award from the UCI, cycling's world governing body, and later that same year he was inducted into the US Bicycling Hall of Fame. Since 1994, Fraysse has operated Mike Fraysse Sports, LLC., a cycling- and triathlon-specific training center located in the foothills of New York's Catskill Mountains just 2 hours from New York City and 3 hours from Philadelphia. Situated on 28 secluded acres, the Sports Resort features a Victorian Mansion where 4-course gourmet meals are served three times daily, guest accomodations for visitors and athletes each with private bath and cable TV, gym, computrainer and roller rooms, a full-size swimming pool, deck, and volleyball court. Camps are conducted throughout the year for a wide range of abilities-- from beginners and recreational riders all the way up to elite national-caliber professionals. In addition to the Sports Resort, Mike Fraysse Sports, LLC. also conducts a large number of international racing trips, along with their renowned winter training camp held in Argentina each February and March.